Ukraine’s second city of Kharkiv, characterised by its tractor production and huge main square centrepieced by Lenin, has been home to Shakhtar Donetsk since early 2017. Both Shakhtar’s Donbass Arena and the Metalist Stadium in Kharkiv were Euro 2012 venues but have suffered completely different fates since. 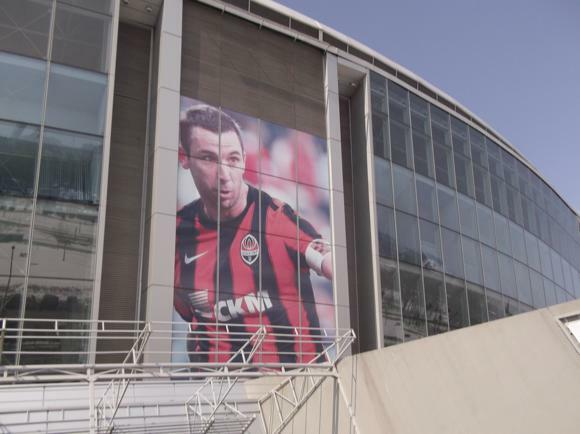 The ten-time Ukrainian champions saw their own contemporary stadium hit by shelling during the 2014 conflict in eastern Ukraine. First Shakhtar moved as far from the conflict as possible without leaving Ukraine entirely: Lviv, 22 hours’ drive away, near the Polish border. Before another title-winning spring campaign in 2017, The Miners came far closer to home, to Kharkiv, 150km north. 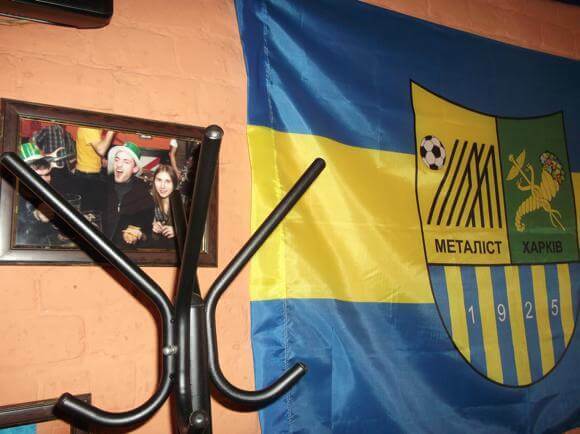 Meanwhile, the Metalist in ‘Metalist Stadium’ no longer exist. The Ukraine’s de facto third club, after Shakhtar Donetsk and Dynamo Kyiv, Metalist Kharkiv were enjoying the most successful period in their 90-year history when they ran aground. A European ban in 2013 was followed by the club having its professional licence withdrawn due to lack of salary payments to players. 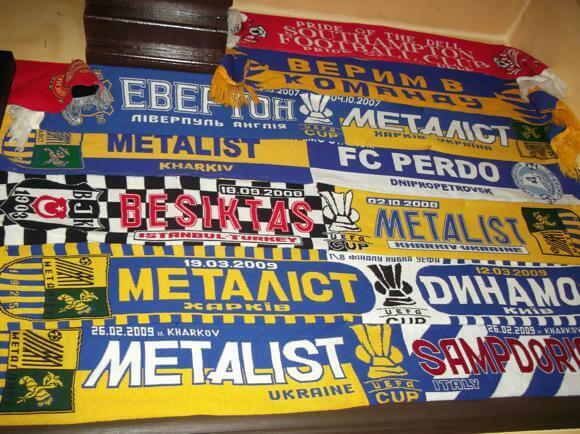 After their collapse in 2016, the same owner, gas mogul Serhiy Kurchenko, had another outfit, SK Metalist, join the fifth-flight regional Kharkiv league. 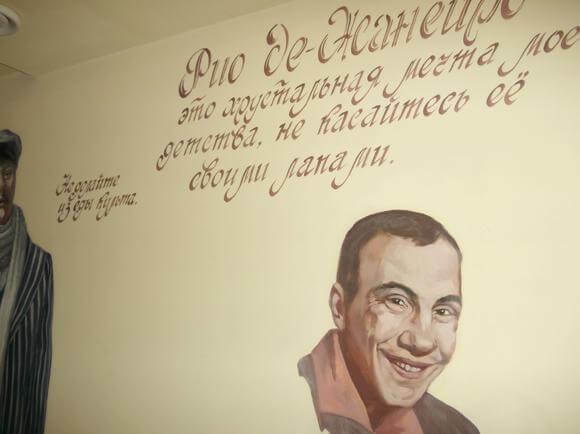 The most unusual thing about that is that Kurchenko had fled Ukraine in 2014 and his whereabouts remain unknown. The club, co-titled UFK Olimpik, duly registered defeats of 0-7 and 0-9 to finish bottom of its division in 2016-17 and blip out of existence. 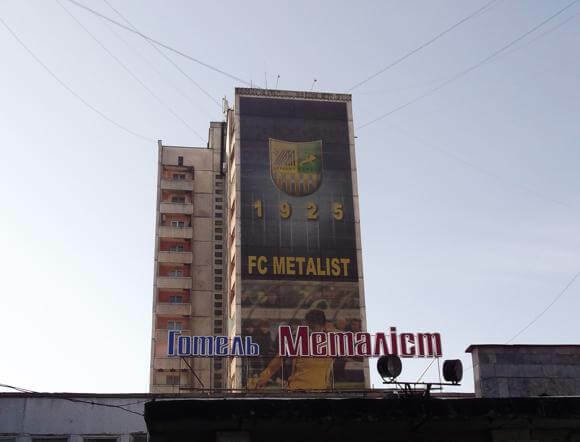 At the same time, another club, FC Metalist 1925, was formed to become the true inheritors of the original Metalist mantle. Wearing the same colours of yellow and blue, and moving into the Metalist Stadium, the club run by high-ranking football administrator Serhiy Storozhenko gained promotion two seasons running to reach the second tier in 2018. Metalist 1925 currently stand within range of a return to the top flight. Fellow challengers are Dnipro-1, historically linked to eternal rivals Dnipro Dnipropetrovsk, who also collapsed in 2017. 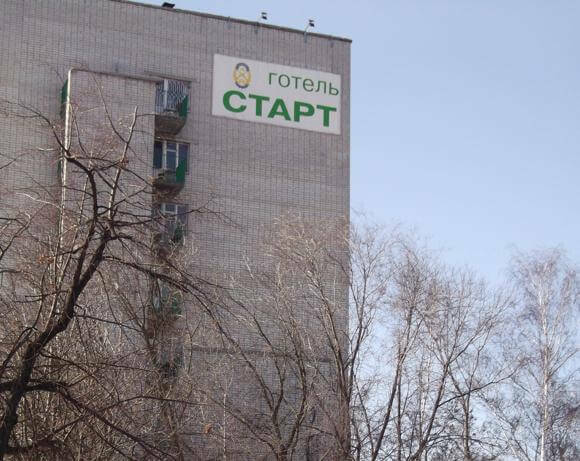 Supporters of the original Metalist have been digging out their old flags and cleaning up the tower-block length murals that surround their stadium. Founded as a factory team in 1925, Metalist went through several name changes as they flitted between divisions of the Soviet league. Their biggest success was the cup win of 1988, the team starring veteran international Leonid Buryak and goalscoring midfielder Oleksandr Baranov. Initial performances in the weaker, newly independent Ukrainian league were patchy, and Metalist even suffered the ignominy of lower-flight football. The Zhovto-Syni (‘Yellow-Blues’) then rose to prominence from 2006 under the ownership Oleksandr Yaroslavsky, one of the richest men in independent Ukraine. Before selling his shares in December 2012, Yaroslavsky invested in the complete rebuilding of the Metalist Stadium. 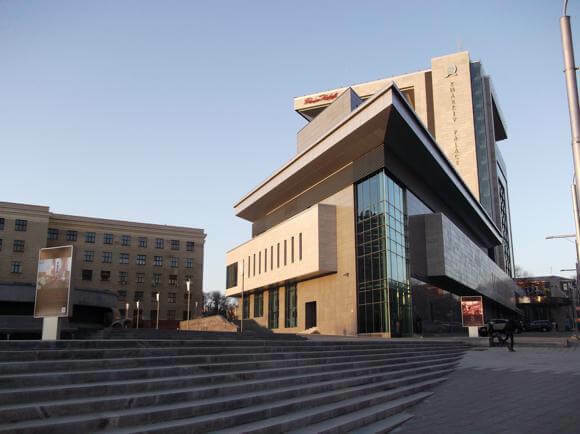 As well as the city’s new airport, Yaroslavsky was also behind the opening of the Kharkiv Palace, the first five-star hotel in town. Head of Ukraine’s third largest bank, Yaroslavsky put enough hryvni into Metalist to sign key South Americans – Jajá, Edmar Halovskyi, Taison – and push Metalist up to third place in the league and keep them there for most of a decade. The Metalist Stadium reopened in 2009, on the night of Yaroslavsky’s 50th birthday. 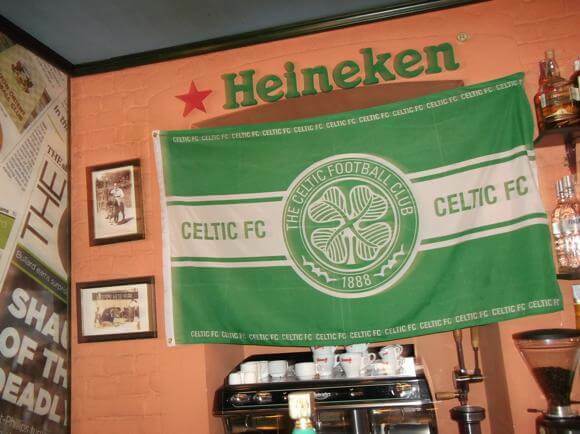 As well as hosting Holland’s group games at Euro 2012, around this time it welcomed the visits of Newcastle, Olympiacos and Rapid Vienna. Reaching the Europa League quarter-final in 2012, the following year Metalist finished top of their group over Bayer Leverkusen to join the round of 32. 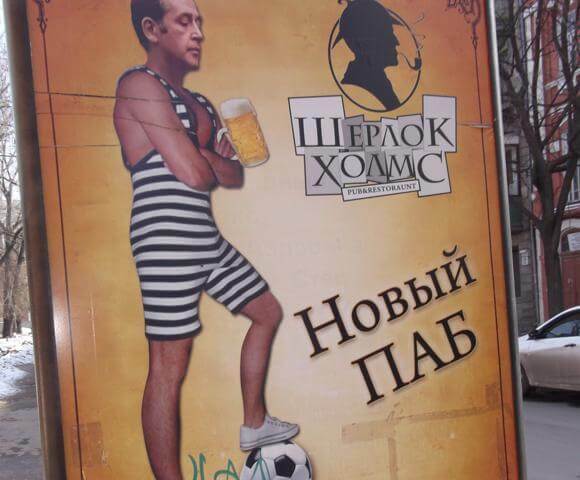 Before the first knock-out tie with Newcastle, Yaroslavsky sold the club to Serhiy Kurchenko, a sudden decision set against a dispute between the oligarch and the local authorities over ownership of the stadium. 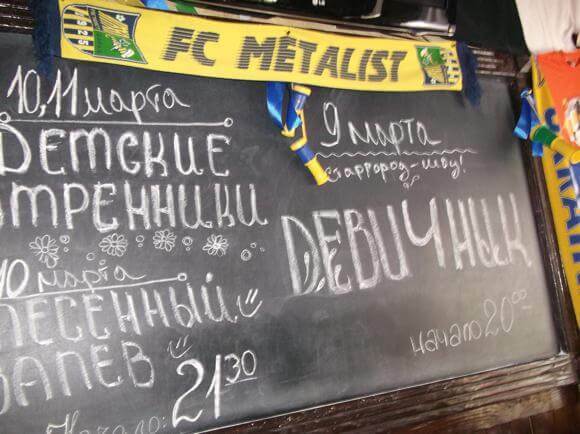 A highest-ever second place league finish in 2013 allowed Metalist to make their debut in the Champions League. Having beaten PAOK Salonika, the Kharkov club was within two games of the group stage – which is when the axe fell. 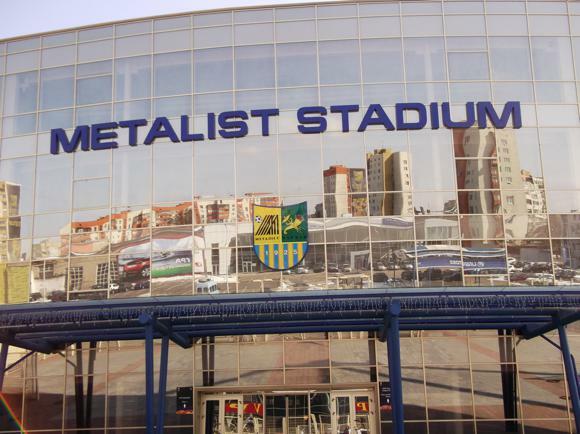 Thrown out of the competition by UEFA for a match-fixing scandal that dated back to 2008, Metalist slumped, conflict broke out in eastern Ukraine and key players left droves. Lynchpin Marko Dević packed up for Russia then eventually washed up in Liechtenstein. Eventually the plug was pulled in 2016. 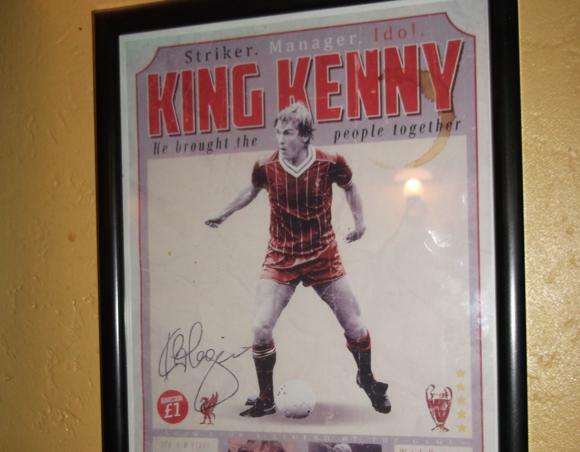 Unlike Kyiv and Donetsk, Kharkiv had no second club in the top flight. 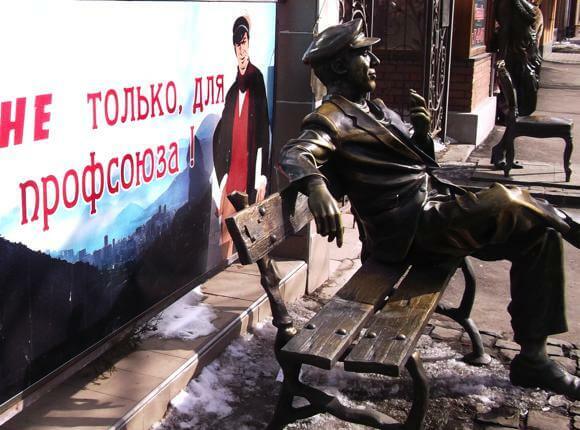 The original pre-war Dynamo Kharkiv disappeared after 1941 and their city rivals Lokomotyv vanished in the 1950s. FC Kharkiv, formerly FC Arsenal Kharkiv, based at the Dynamo Stadium (another Yaroslavsky-funded reconstruction) lost their licence in 2010. At the same time, local FC Helios took over the Arsenal Bavaria Stadium and renamed it the Helios Arena. Helios have been rising in the second tier Persha Liga since 2005. 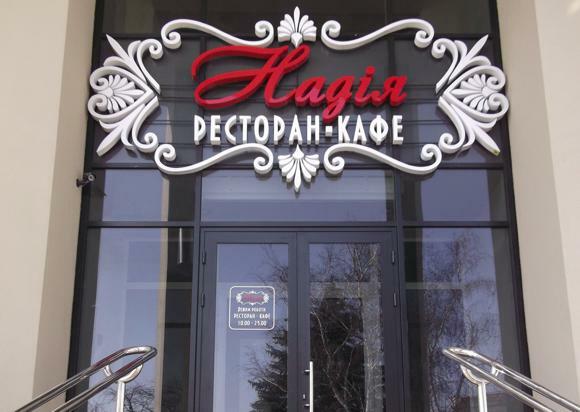 The Helios Arena is located at prospekt Novo-Bavarskyi 1A, about 4km south-west of central Kharkiv. It’s on the Nos.220 and 237 bus routes, linked with Kholodnaya Gora (red line), and No.232 from Metrobudivnykiv (green line) metro station alongside Sportyvna by Metalist Stadium. Alight at either vulitsa Hertsena or Stadion. 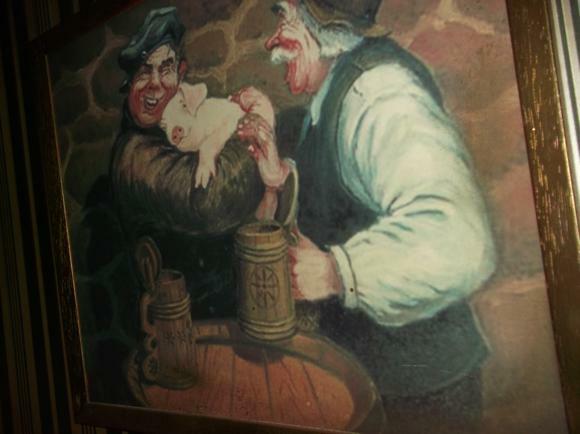 The price of admission is minimal. No visa is required for Ukraine for EU or US citizens. 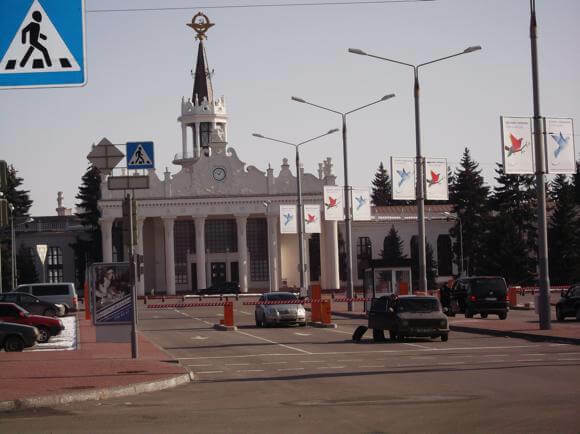 Kharkiv Airport is 12.5km (7.5 miles) south-east of the city. From the stop a short walk across the car park outside the terminal building, various buses and trolleybuses run to metro stations in town: the Nos.5 and 115 to Prospekt Gagarina and the Nos.119, 152 and 255 to Akademika Barabashova. Pay the driver 3hr/€0.10 on the No.5, 6hr/€0.20 on other routes. A taxi to town should cost around 100hr/€3. 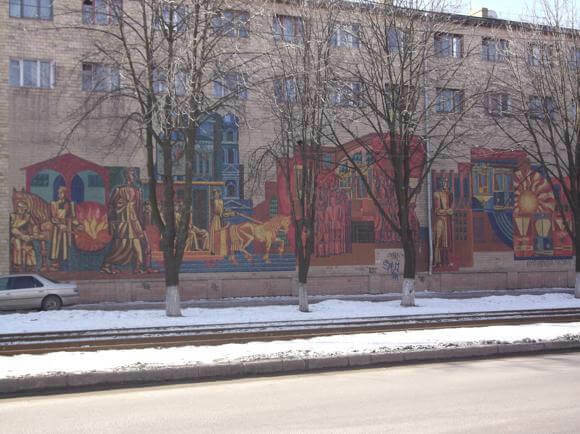 Public transport in Kharkiv consists of a three-line metro, buses, trolleybuses and communal minibuses known as marshrutki. All run on tickets (3hr/€0.10), either pay at the metro station or the driver, ideally in the right change. Use easyway to plan your route. Metalist Stadium is an easy metro journey from the centre but too far to walk. Taxis around town are cheap – Taxi 838 (+38 057 7 838 502) is as good as any. 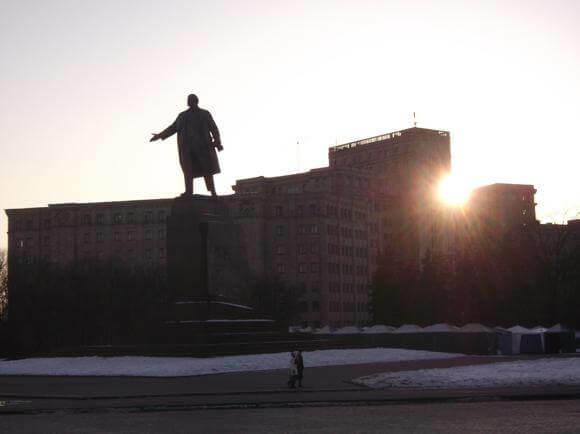 There is no reliable tourist information website for Kharkiv – Kharkiv Info has a few sketchy details. 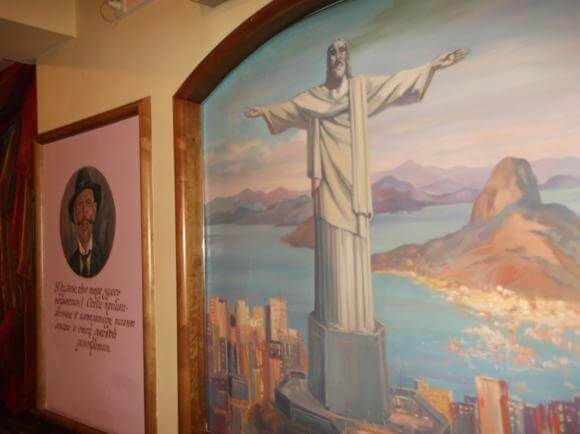 With the closure of the Hotel Gloria next to the stadium, the nearest lodging is the Nadia, which now offers a handful of comfortable guestrooms above a longer-established bar and restaurant. 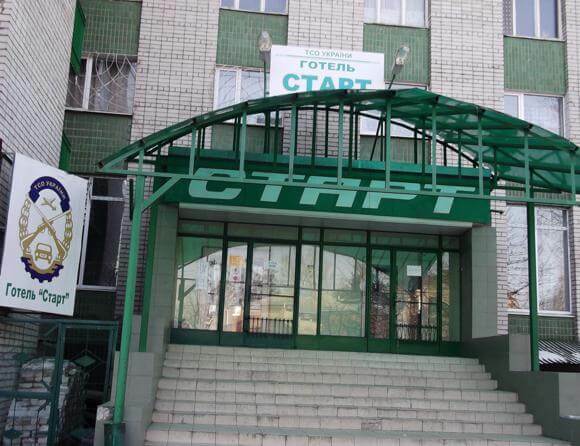 Round the corner, the standard, Soviet-era Start is a basic and extremely cheap accommodation used by tour groups and visiting youth sports teams. 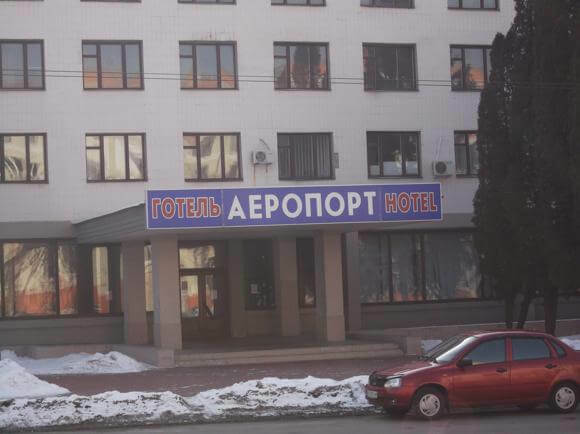 Also nearby, the Hotel Metalist (Plekhanovska 92A, +380 57 717 3002) is even more dowdy and may not even be operating. Built by Oleksandr Yaroslavsky, the man behind the reconstruction of Metalist Stadium, the five-star Premier Palace housed UEFA officials during Euro 2012. You’ll find a spa, pool, gym and the panoramic Sky Lounge bar among the half-dozen in-house restaurants and cafés. 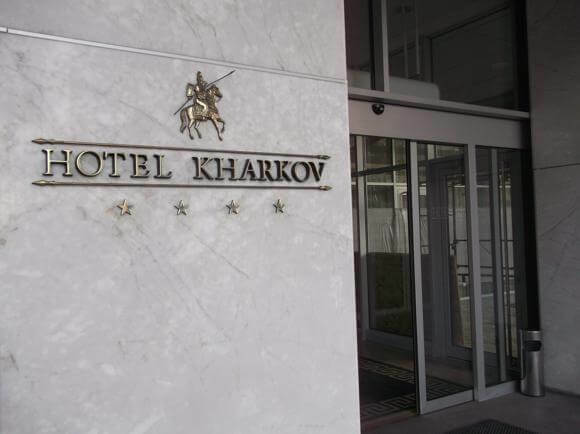 Also of decent quality, the 205-room four-star Hotel Kharkov still sports elements of its Soviet past but with a basic single/doubles starting at 700hr/850hr (€22/€27), and a central location, you shouldn’t complain. Also conveniently located on Sumska, the Hotel 19 adds elements of style to your stay – if you’re happy to pay 1,200hr/€38 for a single and 1,600hr/€50 a double. If you’re coming in late or have a super-early flight, the affordable Hotel Airport (Aeroflotska 16, +380 57 775 3505) alongside the terminal does the job for under €20/night. 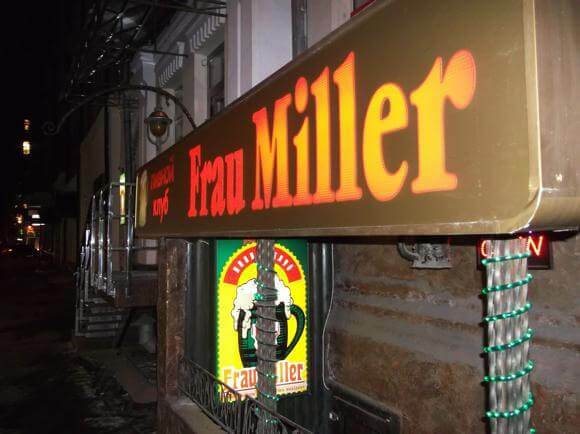 Bars and restaurants are dotted a short walk from the main metro station of Pushkinska, particularly along vulitsa Yaroslava Mudrogo. 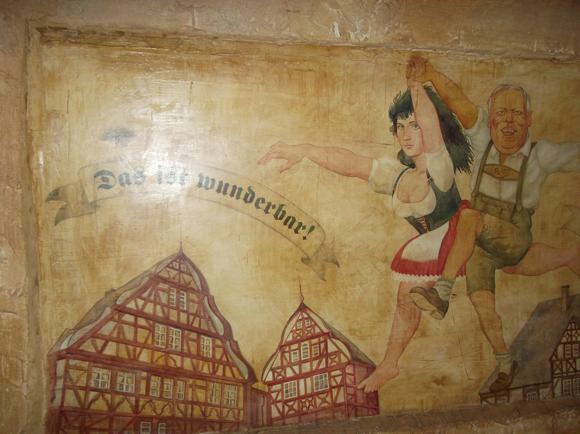 These include the German-style beer cellar Frau Miller (No.24), and the more arty but nonetheless enjoyable bar/restaurant Rio (No.21), displaying characters and quotes from a well loved old film. Both venues have a TV for sport. 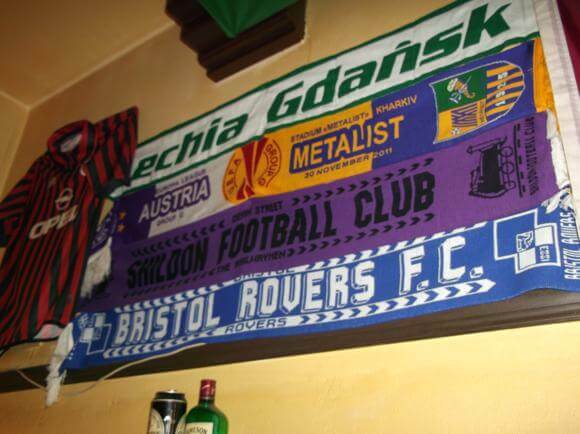 Just off Yaroslava Mudrogo at Mironositska 46, the Irish Pub is the most promising of the expat haunts, more authentic inside (paraphernalia from Anfield, Bristol Rovers and the Shildon Football Club) than out. 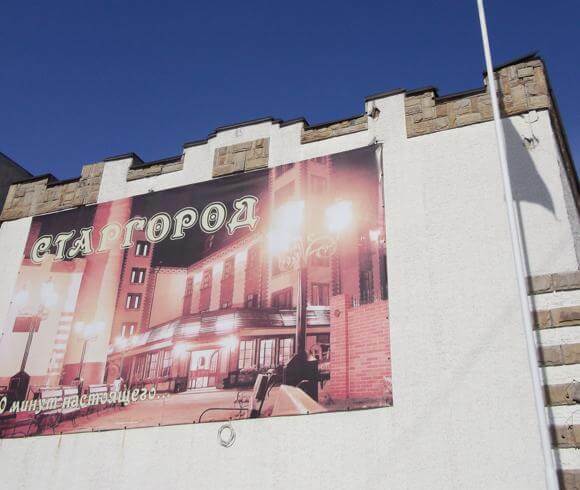 A short walk off Pushkinska from the metro station at Lermontovska 7, Starogorod is a Czech microbrewery that has since branched out to Lviv, Dnipropetrovsk and Riga, offering hearty portions of pub grub, plenty of TV football and occasional bizarre entertainment. In summer, it has a barbecue terrace. Look out for the tall chimney by the Masse billiard hall. 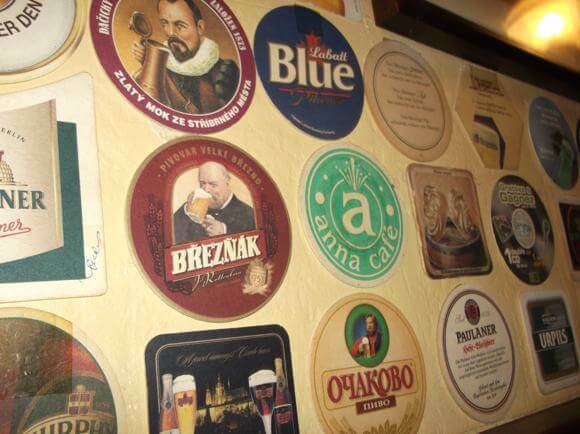 Down the Pushkinska sidestreet of vulitsa Mystetstv, Sherlock Holmes at No.5 is all wood panelling, thick steaks and Sherlock house lager. 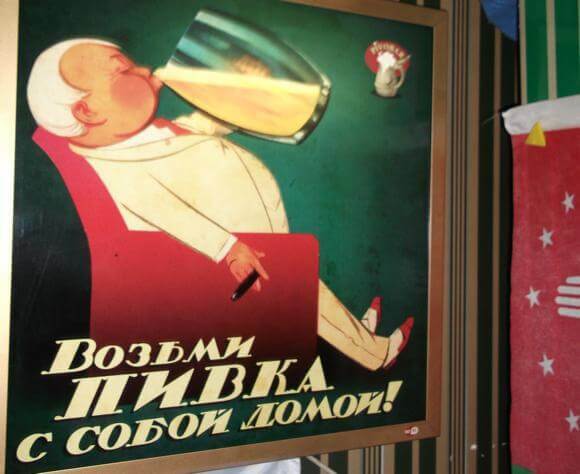 Also off Pushkinska is a branch of the excellent local mini-chain of Pivobars, providing quality beers in mannered old-school surroundings. 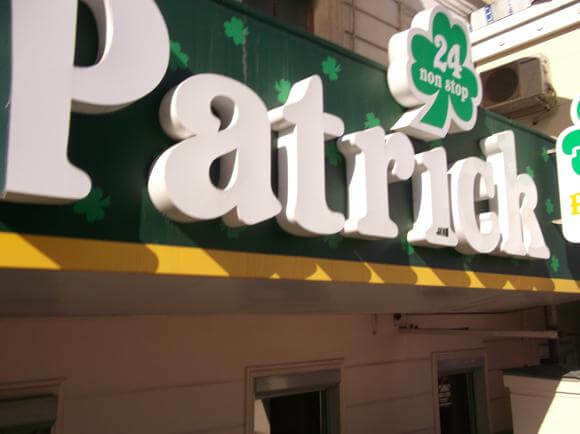 The one at vulitsa Bahalila 3 is opposite the Literature Museum, while another at Bakulina 14 near Naukova metro station (green line) allows you to pay a visit to the Dublin Pub and, slightly further away, the more upscale Fat Goose Pub, another 24/7 operation with 20 varieties of beer and wide-screen TV. 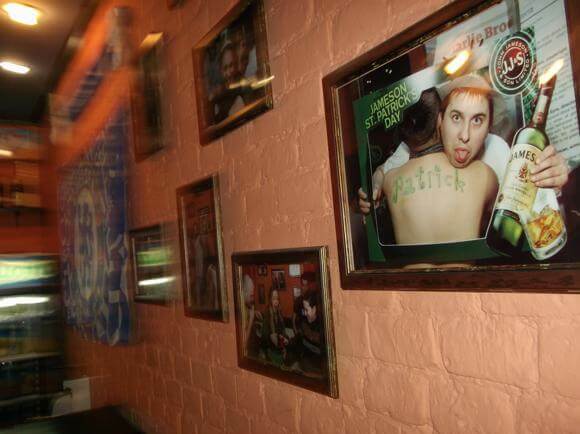 By the main square of Maidan Svobody, 24-hour sport bar Patrick at Universitetskaya 2 is decked out in blow-up cuttings from the football press on the bare brick. Radyanska (red line) and Istorychnyi muzei (blue line) are the nearest metro stations. In 2017, another branch opened at Sumska 37B by Universitet (blue line) and Derzhprom (green line) metro stations. 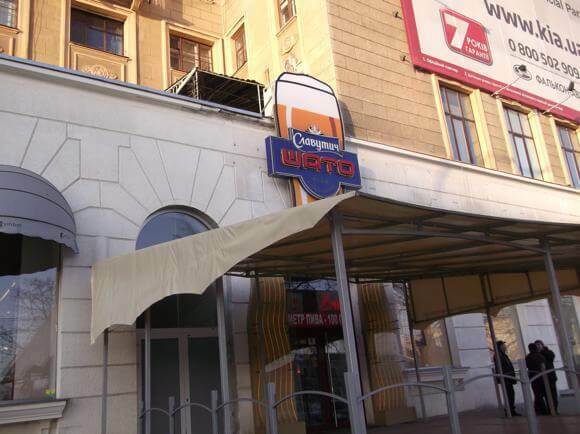 Back on the main square at No.7, Slavutych Shato is a popular basement bar offering televised football and the beer of the same name.